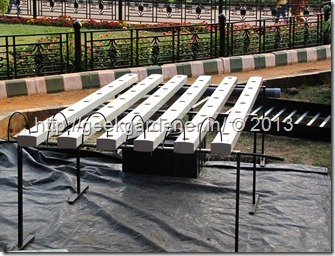 An event like Lalbagh flower show needs no introduction. It happens twice a year, on Republic day and on Independence day. 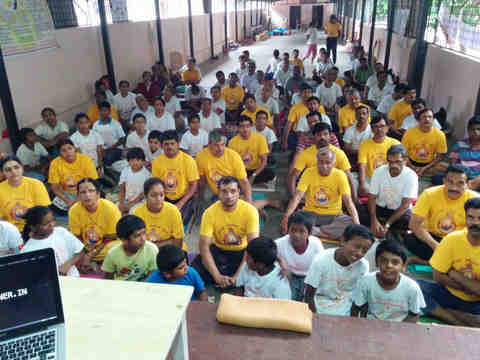 Lakhs of people visit the place on those 10 days. 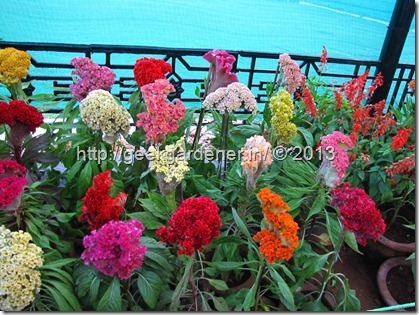 This year too the flower show begins tomorrow and goes till 26th of Jan,2014. What’s special about this year? Many things are of importance. 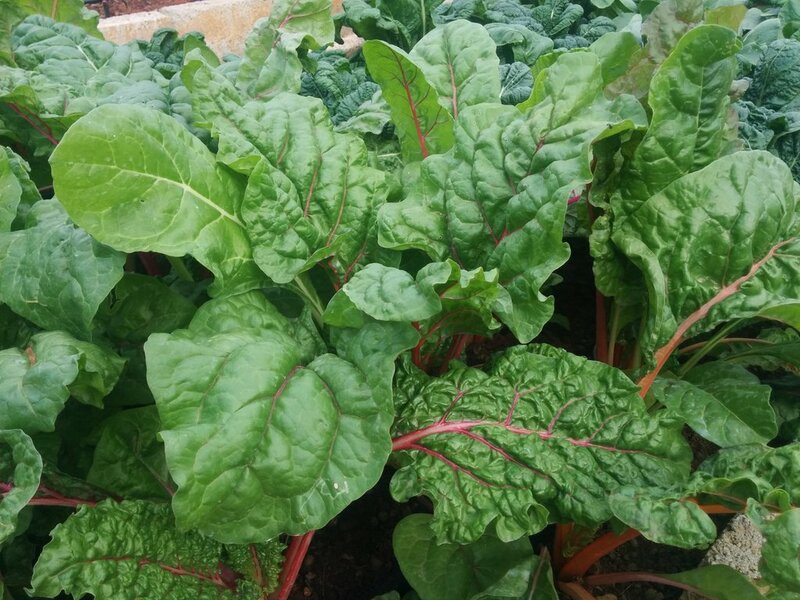 Kitchen gardening is taking lots of momentum(Yay!) 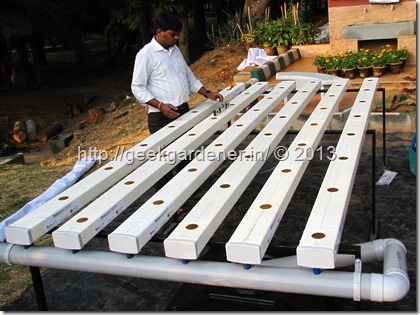 and this year for the first time in Lalbagh flower show, they are doing to demo Hydroponics for the public. The best part is our store Garden Guru was chosen to design and demonstrate it. When we got the news we were very excited to have bagged this opportunity. 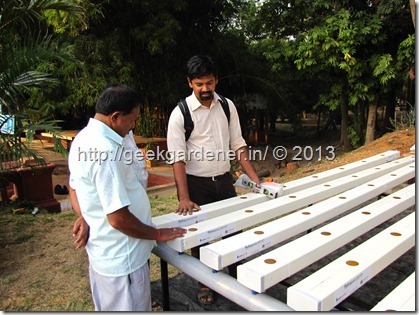 A while back in one of the meetings with the folks @ Department of Horticulture, I had shown them our different hydroponic kits. Their response was very good and they liked our design so much they wanted one for themselves during the flower show this year. So we are very proud to present you our Hydroponic DFT kit.This is our new hydroponic NFT/DFT kit. We have already completed trials and also successfully completed projects with this. Who wouldn’t like the kit pictured below(from our trials)? The flower show will be starting tomorrow 17th Jan 2014 and will go on till 26th Jan 2014.Like I said, one of their theme is kitchen/terrace gardening and using different methodologies in doing so. We were quite busy today in setting up the kit for display. I will let the pictures speak. Curious visitors started check it out as we set it up. Answering their questions is yours truly. 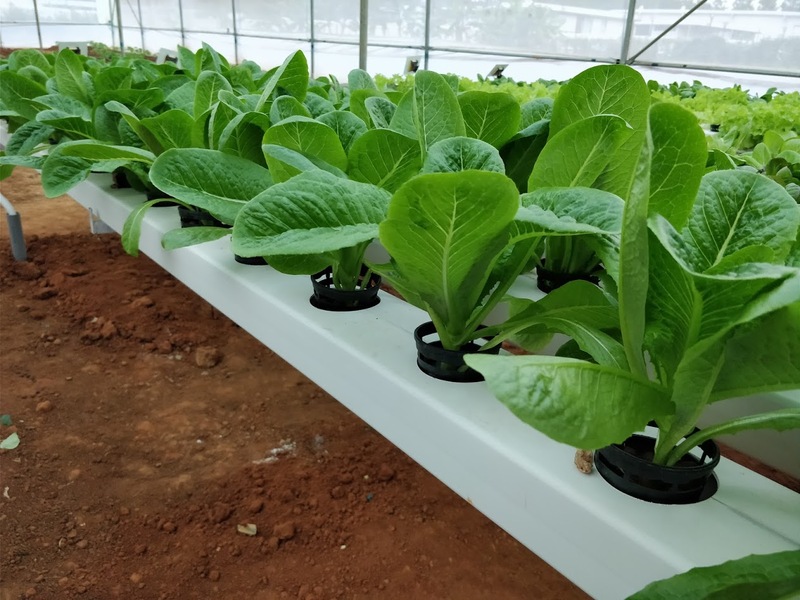 The completed demo of hydroponic NFT system in all its glory. There is one thing missing from the kit at the moment. Plants! The plants will be placed tomorrow. 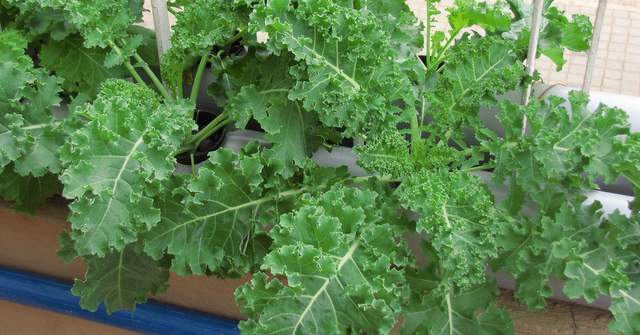 The best thing about hydroponics is you can transplant the plant any time even when they are yielding. Cool isn’t it? Here are some more pics of whats in store for you all. Also the dashing colors of cockscomb(Celosia). Hope you all enjoyed watching the sneak peak of the flower show to be. Do drop by in any of the 10 days starting from 17th to 26th Jan 2014. On account of our participation in Lalbagh Flower show 2014, our Store Garden Guru will be closed till 26th Jan.
Don’t forget to drop into Garden Guru at stall # 32 near the glass house. This time our stall is all about Hydroponics. Have a question? Got a suggestion? Visit us @ Lalbagh. Glad to see this. All the best! will be definitely visiting your stall. 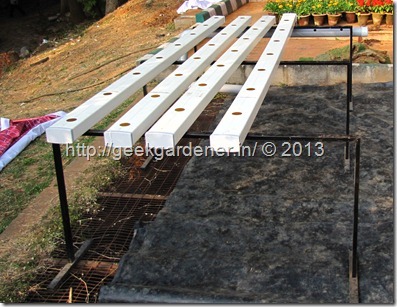 Hope you will have the Hydroponic Raft Kit on sale too. wanted to check that out to start with. Hi Asha. Thanks for the wishes. Please drop by. Yes we do have the raft for sale. see you there. Congratulations. I am from Chennai. I would not be able to visit Banglore as I am pre-occupied on both the weekends. 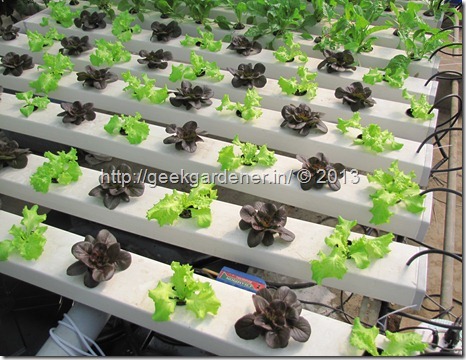 Would be helpful if you have could point out any leads to Hydroponics in chennai. Great News. Good Job GG. Wish you did something similar is Hyderabad shows too. Hi GG, Best wishes for the show. I’m from Mumbai and wish I cud attend. Please write more about this system. 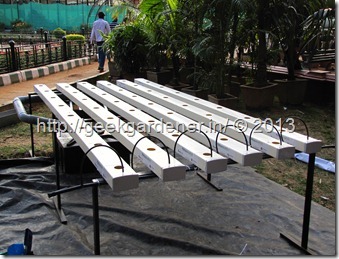 These are channels and different from PVC pipes and setup also looks different. Waiting for more info, plz share.Keep up the good work! So i was hoping you’re selling seed packets at the stall there so that i could pick some up personally..
Hello GG, All the best for the flower show! from your place. Trying out with the process. 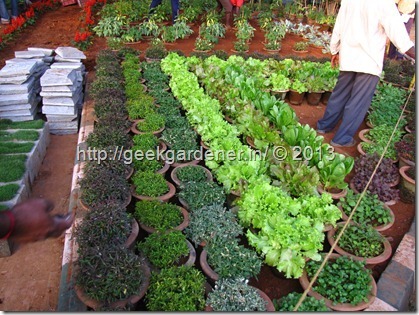 Your blog is so beautiful…..iam new to gardening….started only two months and it feels so good. 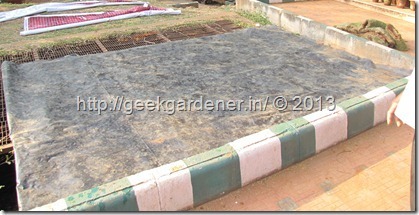 Evn I would like to grow my own veggies..I always check your blog for tips and it is helping. 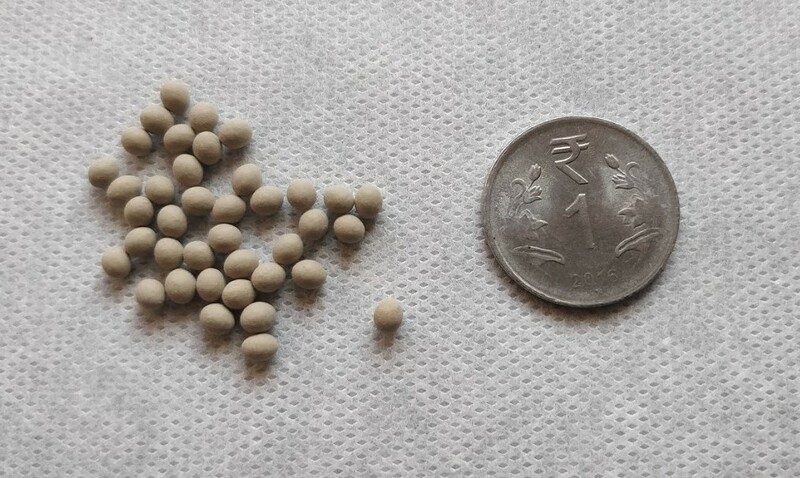 I live in Delhi We have a small terrace garden.I have planted many flowering plants but they are not healthy. I am new to gardening and I need expert’s advice.